In a bid to feel the pain points of clients first hand, Decoded Advertising is launching 42 Birds, a direct-to-consumer wellness brand to give the agency real-life exposure to their clients' opportunities and challenges. 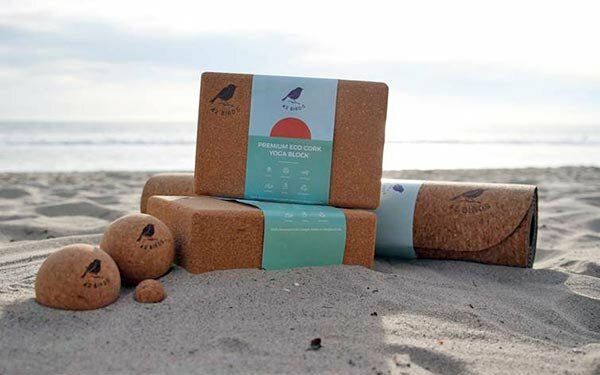 Available via Amazon and 42birds.com, the brand launches with three specialty products: yoga mats, massage balls and blocks — all made with a special eco-conscious cork. "We will learn firsthand what our clients go through — feeling the risks and impact that our decisions make every day — which will ultimately allow us to extend our learnings back to the brands we work with," says Matt Rednor, CEO, Decoded. The company will be run day-to-day by Decoded’s Chief Innovation Officer Addie Conner and supported with a dedicated 42 Birds team to work alongside the current Decoded creative and media network. "We're adding skill sets that help round out our team, especially on the ecommerce side, like the disruptor brands have," explains Rednor. "People with full funnel expertise on platforms like Amazon and Shopify that will help our team develop an even stronger DTC muscle and inform faster, nimbler ad creation." The direct-to-consumer distribution is designed to give the agency exposure "end-to-end," says Conner, adding this "unrivaled experience" will then be extended to the work the agency does with various clients, such as Visa, T-Mobile and Booking.com. “Selling our own product, designing the UX, search strategy and handling the supply chain will allow us to learn ecommerce -- and Amazon especially -- better than just managing a campaign for a client,” says Conner. “Typically, ad agencies are only able to solve for the first part of a user journey, but 42 Birds allows us to control the entire user experience." Ultimately, Decoded believes 42 Birds is a win-win, regardless of whether the brand sells a massive amount of merchandise. "Not only does it give us access to important levers, it will provide us with more insight into the pairing of ads with UX and the opportunity that exists for brands," says Conner.